What A Find.... 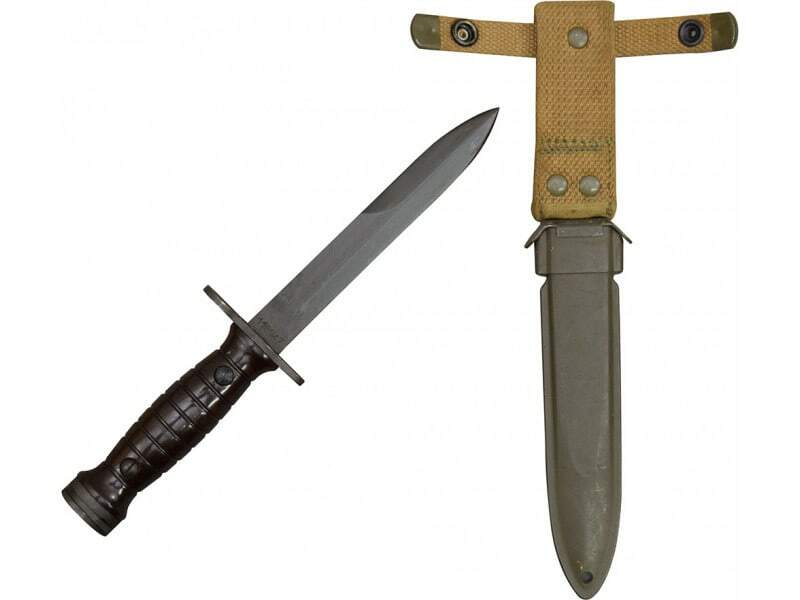 Original M1 Carbine Bayonet - M4 M1 Carbine Bayonet With M8 A1 Scabbard - Italian Made - AET Manufacture - Very Good to Excellent Condition This is the original military bayonet for the M1-Carbine .30 caliber rifle, complete with scabbard. These are original Italian manufacture & military issue and fit on M1 Carbine's (if equipped with a bayonet lug). 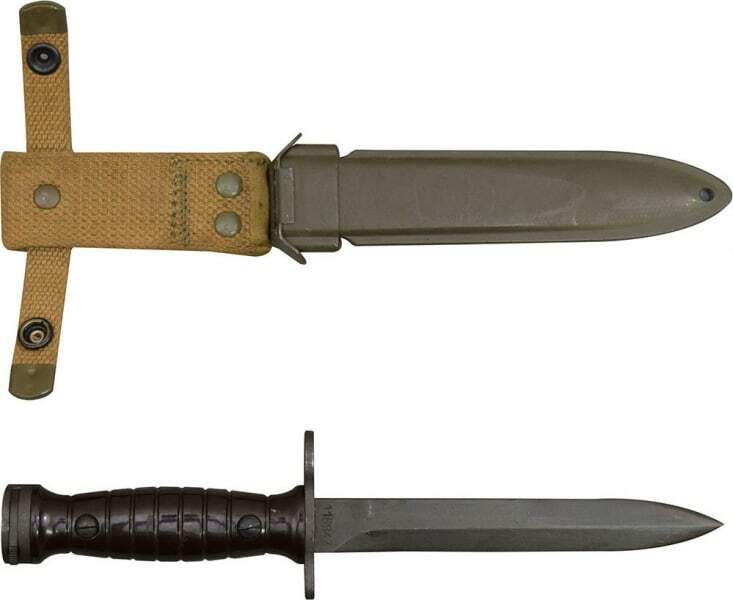 They appear to be a re-issue as the scabbards are U.S. GI M8A1 with fresh web and paint. The scabbards may have some scratches from shipping but are in at least very good surplus condition. 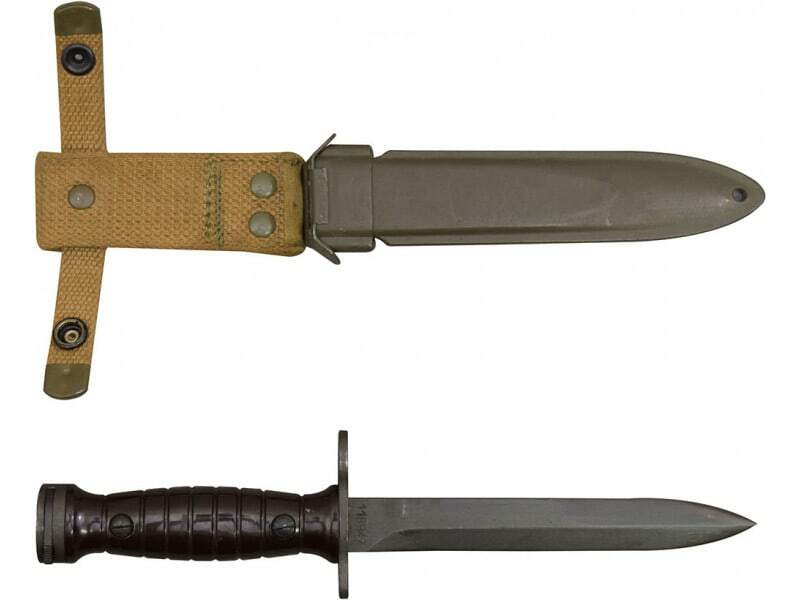 These bayonets have the brown plastic ribbed handles which may also show some light wear. The blades are marked "AET" and have 1950's-1960's dates. 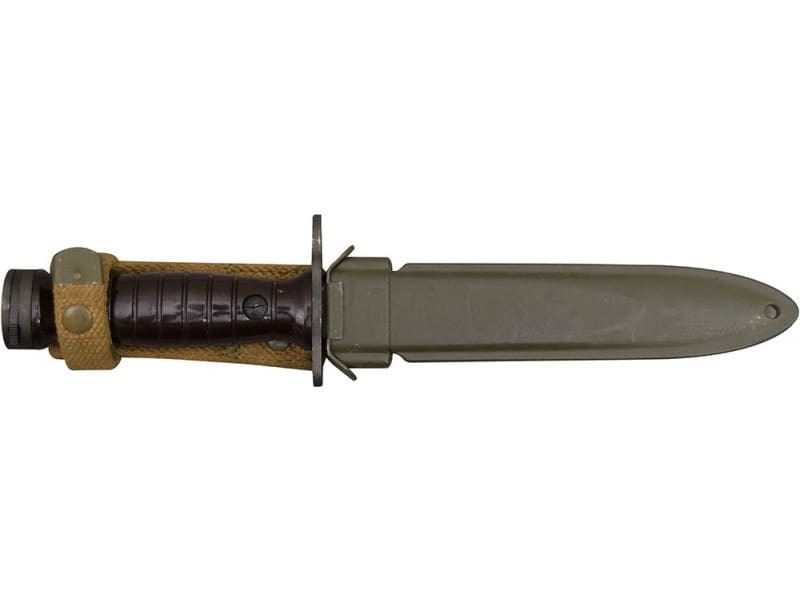 The bayonets have blades with issue numbers. Used in very good condition, these issued bayonets & scabbards may show mild wear but considering their age are in really good surplus condition. Ultra Rare. Note - Everything we have seen so far has been AET or FET marked as seen in the video however we have not been able to examine every single bayonet. 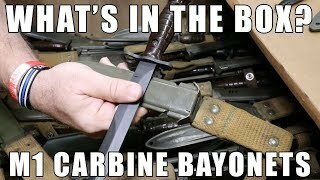 The bayonets you see in the video are very representative of what you will receive but we can't guarantee that there will not be variances in manufacturer etc., however, conditions of bayonets and scabbards will be consistent.